Estate Planning includes Wills, Revocable Living Trusts, Special (or Supplemental) Needs Trusts, Durable Powers of Attorney, Advanced Healthcare Directives, Do Not Resuscitate Instructions, and arrangements to keep your estate out of Probate Court for the benefit of your loved ones. Probate is a court procedure to distribute the estate of an individual who has passed on. 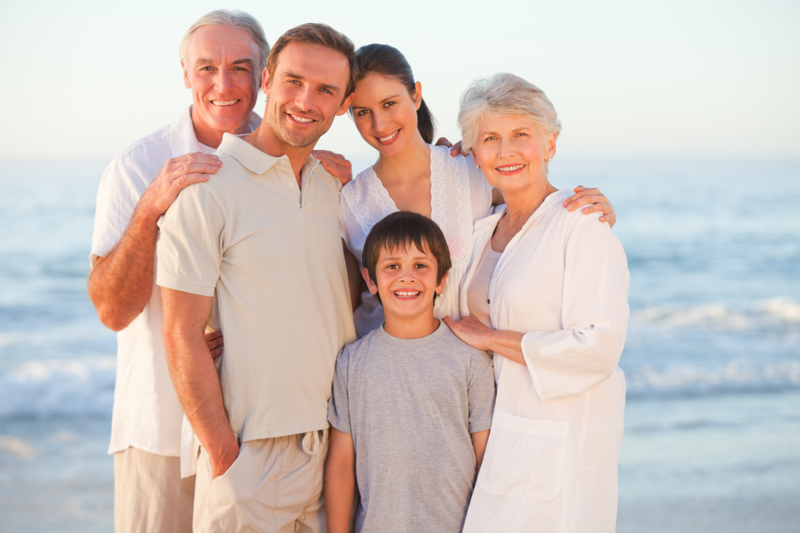 Depending on the level of estate planning provided, probate may avoided entirely. The Ross-Jones Law Office estate planning and probate attorney, Elizabeth Ross-Jones, is now accepting clients from Oklahoma City, Edmond OK, and Central Oklahoma. 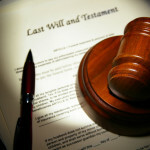 Your Will designates how your assets (real and personal property) will be distributed after your death. A Will can also designate who you want to take care of your minor children if you and the children’s other parent are no longer living. If you die without a Will, the State of Oklahoma’s laws (called Intestacy laws) determine how your assets will be distributed. The State’s distribution may not be what you would have wanted. Most people want to decide for themselves how their assets are distributed. By properly executing a Will, you can give your real and personal property to whomever you want and state your final wishes. It is crucial that your Will be properly created and signed in accordance with the laws of Oklahoma in order for it to be a valid Will in Oklahoma. If the Will is determined by a Probate Court to be invalid, then it cannot be used and the State’s Intestacy laws will apply. A valid Will can also be used to “pour over” all your real and personal property into your living trust. By doing this, you can avoid probate and still distribute all your assets to whomever you want (your named beneficiaries). 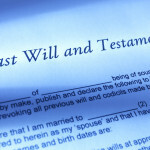 Having only a Last Will and Testament may not avoid probate. The main advantage of having a Revocable Living Trust, and having your deeded or titled property placed in the Trust, is that your loved ones may not have to ask a Court’s permission in order to distribute your assets upon your death. 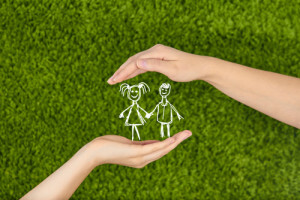 This is referred to as “avoiding probate.” A revocable living trust names you as Trustor (the person creating the trust) and Trustee (the person managing the trust) and allows you to own and manage all of your property as Trustee while you are alive. Spouses can be Co-Trustees of their joint revocable living trust. When one spouse passes on, the remaining spouse can continue as the sole Trustee. When the final Trustor passes on, a successor Trustee named in the Trust document takes over management and distribution of the trust assets in accordance with your instructions stated in the trust’s terms and conditions. As long as your deeded or titled property in placed in the trust by said deeds or titles, then those assets will not need to go through probate. A Durable Power of Attorney allows a person owning the document (the Principal) to authorize another (an attorney-in-fact) to act on their behalf. You can allow your attorney-in-fact to do anything you could legally do with the necessary mental capacity (a General Durable Power of Attorney), or you can limit your attorney-in-fact’s powers to act on your behalf (a Limited Durable Power of Attorney). 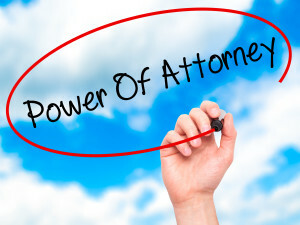 The attorney-in-fact’s powers can be effective immediately upon executing the Power of Attorney or it can become effective in the event you lose mental capacity, depending on your preference at the time you sign the document. The DPOA must be created while the Principal still has their mental capacity. DPOAs can be revised while the Principal has mental capacity. The Power of Attorney is called “Durable” because the attorney-in-fact’s powers will continue even if the Principal becomes mentally incapacitated. The Durable Power of Attorney is no longer effective and the attorney-in-fact’s powers cease when the Principal dies. A DPOA can be created without Court approval and is preferable to guardianship if it can be created while the Principal has mental capacity. Probate involves getting a Probate Judge’s permission, through Court proceedings, in order to distribute a deceased person’s estate. Probate Court permission may also be required to sell or transfer real property. Probate is the legal process by which a deceased person’s Last Will and Testament is proved valid and then to distribute the person’s estate in accordance with the instructions in their Last Will and Testament. If the Will is invalid, or if there is no Will to provide to the Probate court, then the deceased person’s assets are distributed in accordance with the Intestacy laws of the State of Oklahoma. Probate can be time consuming and costly for your loved ones. There are, however, ways to avoid probate by careful advanced planning. 1. 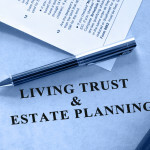 Create a Revocable Living Trust. Assets within the Trust avoid probate and may be distributed to the named beneficiaries in the trust according to the terms of the trust. 2. File a Transfer on Death (TOD) Real Estate Deed. Oklahoma law has a provision that allows real estate owners to retain ownership of their real property during their lifetimes and to name who a piece of real property will go to when the owner dies. The beneficiary of the real property will only need to complete an affidavit and present the deceased person’s death certificate to the county clerk where the real property is located in order to have the property transferred to the beneficiary’s name. 3. Name beneficiaries on Financial Accounts through Payable-On-Death Designations. Almost all financial institutions, insurances policies and retirement accounts let you specify who you want to inherit your accounts when you pass away. If you haven’t already made beneficiary designations when you set your accounts, you can request your accounts be payable-on-death (POD) or transferable-on-death (TOD) to beneficiaries that you specify. Ask your financial institutions for these forms or check the availability of these forms on the financial institution’s website. 4. Own assets as joint tenants with rights of survivorship. If you own property with another person jointly, that property is considered to be owned completely by the joint owners and will automatically pass to the surviving owner upon your demise. It may be advisable to not own property such as real property or bank accounts with adult children because if they are sued or have financial difficulties, then their creditors may successfully come after the joint accounts. Payable-on-death designations generally serve the same purpose and are a safer option. Elizabeth invites you to schedule an appointment to visit with her in person to discuss your wishes. At the appointment, Elizabeth will answer all of your questions and provide you with information about how much it will cost for the services you request, whether that be for a simple Will or a full Estate Plan. Click below to get a copy of a questionnaire that you can complete at your convenience prior to your appointment and bring with you when you meet with Elizabeth. You may request an appointment with Elizabeth by contacting her directly. All information you provide is strictly confidential. The initial consultation is free.